Even if it is already 2018. MacBook still uses hard drive wherein all your data on your Mac is stored. This hard drive fills up easily and quickly once that you have too much data on your Mac. Because of this, you might also experience that your Mac is getting slow on performance which is because of the load of data that is in your hard drive. 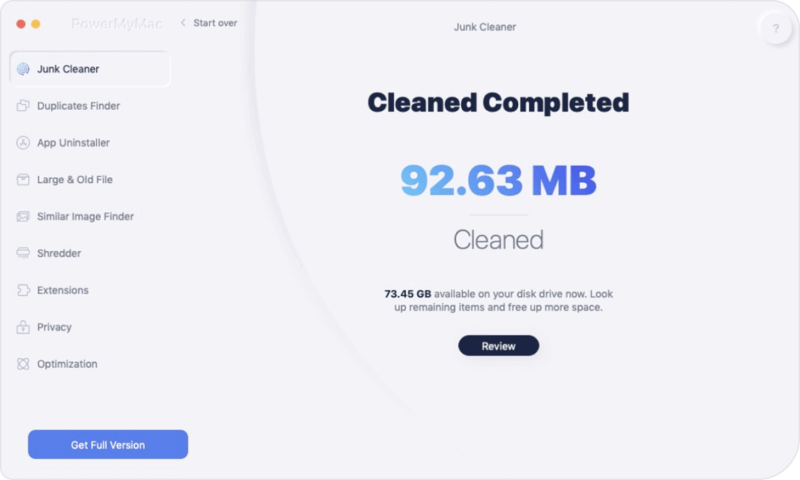 For you to be able to clean up space on your Mac, you have to do the cleaning process which is finding and deleting all the large and small files that you no longer need and use. This also includes all the download that you made before. However, more than that, you may still need to dig a little deeper for you to be able to remove everything that you are supposed to remove so that you can clear up space on your Mac. An example of this is removing your language files, duplicate files, attachments, temporary files and emptying your Trash Bin. There are actually a lot of ways with how you can clean up your Mac. However, this can be a long way process depending on how much data is occupying your Mac’s space. This method will show you how the things that you can do for you to be able to clean up your Mac. All the applications that you have on your Mac are eating up your space. And as time goes by and when you download a lot of apps on your Mac and then they begin to pile up, then you might experience that your Mac is running slow. However, uninstalling this application may seem easy as you can just put them in your Trash. But it is not. You have to go deeper for you to remove it because that particular app that you are trying to delete have some files that are associated with that app and they may leave behind. This is why you have to make sure that if you are going to uninstall an application on your Mac, you have to make sure that you are doing it the proper way. For this, you can consider using an uninstaller to ensure that the application, together with the files associated with it is not left behind. Your trash is one of the most useful yet controversy tool that you have on your Mac. Many users do not really know how it works. All they know is that once you put something in the trash then that means that it is completely removed from your Mac. Well, IT IS NOT! When you move something on your trash, it actually stays there and thus you can have them recovered immediately once that you change your mind. However, since that those things that you put in your trash is still in there, then that means they are still taking up space on your Mac. Because of this, you have to make sure that you remove everything on your Trash the right way. Here is how you can do it. • Go ahead and click and hold the Trash can icon on your Dock. • After that, choose “Empty Trash” from the pop-up window that will appear on your screen. Yes, it is a nice way that has all necessary backups stored on your Mac. However, as time goes, your Mac will become overloaded with all of your old backups and clearly, it eats up gigabytes of space on your Mac. This is the reason why you should think and consider removing all of the old back-ups that you do not actually need. All of your backups made are all stored on your Mac which can be accessed using your iTunes. For you to be able to delete the old backups that you no longer need, here’s what you need to do. • Go ahead and launch your iTunes on your Mac. • Then, in the Menu bar, go ahead and click on iTunes and then Preferences. • After that, click on the Device tab and you will be able to find the backup files that you have on your Mac. • From there, go ahead and select all the backup files that you want to remove from your Mac then click on Delete Backup. DMG’s or your Disk Images and IPSW or your iPhone Software Bundles are known to be an unnecessary file on your Mac which is also taking up space. Because of this, you need to get rid of them and then clean up your Mac. • Deleting Your DMG’s – When you try to mount your disk image and made an installation of a particular app, then you can freely remove and trash your DMG. For you to be able to do this, all you have to do is drag the mounted volume to your trash. • Deleting Your IPSW – For you to remove the IPSW on your Mac all you need to do is to go to your Library, then go ahead and choose iTunes. After that, click on iPhone Software Updates and choose any bundles that you no longer used or have not used before. The desktop of your Mac is where you can find some of your files and is where you actually do a lot of work. Many Mac users have the tendency to keep those files that they frequently open and piles them up until the desktop of your Mac looks like a mess. Once that your Mac’s desktop is all piled up and looks messy, then this could cause your Mac to slow down. So rather than having all your files on your desktop, it will be a great idea that you put them in a folder. This way, it will be easier for you to locate any of your items. There are also other platforms that you can actually use such as your Google Drive, Dropbox, or you can even use an external drive wherein you can store all of your files. This way, you will also be able to tidy up your Mac’s desktop. Using your Mac, there is also a tendency that you have multiple copies of a single document or file or even photos which is also taking up space on your Mac. So, if you would want to clean up your Mac and give a boost to its performance, then you can consider removing all of your duplicate files as well. However, finding and removing the duplicate files that you have on your Mac will surely take up a lot of your time and patience as well. This is if you decide to do this manually. However, there is some duplicate finder program that you can use for you to make this quick and we will introduce to you a program that you can use. All of the applications that you have on your Mac actually contains language files. A single application may contain dozens of them that you do not need or use. These language files actually also eat up gigabytes of space on your Mac so you better consider on removing all those languages that you actually do not use. For you to remove this, follow the steps below. • After that, click on Applications. • Then, go ahead and right-click on the application which contains the language files that you want to remove and then select “Show Package Content”. Note: Do this by going through all your applications one by one. Another way for you to clear up space on your Mac is by removing all of your large and old files. Doing this will give you more space on your Mac. You can remove all of your large and old files manually by going through them one by one and automatically by using a specific program. One of the most data that we receive on our Mac is an email. With all these emails, they also contain an attachment. They could be in a form of PDF, Word Document, Images and more. There are also some instances that when we try to open an attachment from a received email, we tend to double click on them. This will cause your Mac to blow up if it still continues. For you to remove these mail attachments that are stored on your Mac, you can use the Spotlight application and press the Command + Space keys so that the search field appears on your screen then enter “Mail Downloads”. You will see a folder section. From there, go ahead and choose the files that you want to delete. Your Mac contains a lot of files that is called a cache which allows you to access the data faster. However, these files actually eat up a lot of space on your Mac so rather than it boosts the speed of your Mac, it actually slows it down. Because of this, all you have to do is to remove these files from your Mac for you to have a better experience. 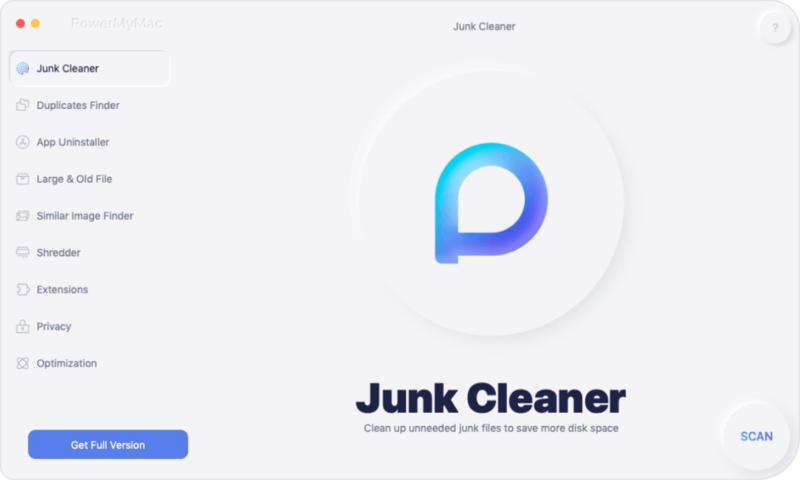 Now, if you do not have all the time in the world for you to clean up space on your Mac manually, then we have the perfect solution for you. This is by using the iMyMac Cleaner. 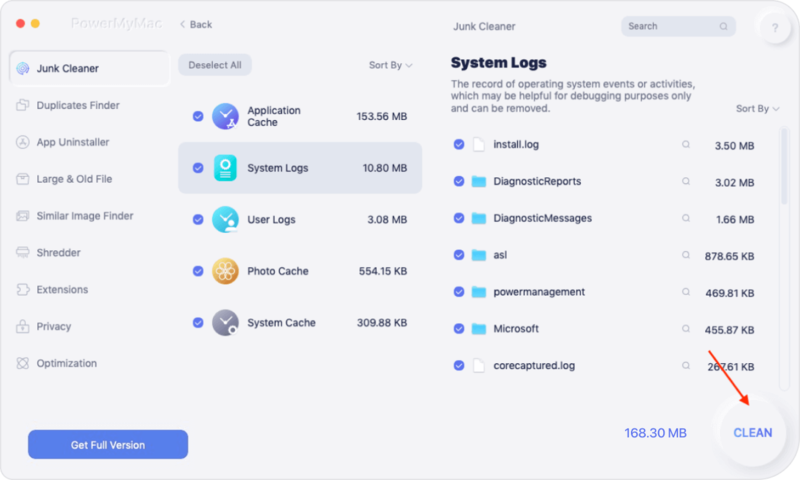 The iMyMac Cleaner will help you clean up space on your Mac because it can remove all the things that were mentioned above. Using the iMyMac Cleaner is the most convenient way as it will only take you a few minutes of your time. Here is how to use the iMyMac Cleaner. Download the iMyMac Cleaner from our website at www.imymac .com and have it installed on your Mac. After that installation process is complete, go ahead and launch the program. On the main screen, you will see there your Mac’s system status. On the left side of your screen, you will see a list of modules that the iMyMac Cleaner can do. Choose a module from the list like “Junk Files”. After choosing the module, go ahead and click on the Scan button and the program will then start scanning all the junk files that you have on your Mac. Wait for the program to finish the scanning process. After the scanning process, you will see there all the junk files that your Mac contains and they will be shown by categories such as Application Cache, Photo Junks, Mail Junks, and more. Once that you click on one category folder, you will see on the right side of your screen the items that it contains. If you are satisfied with the chosen items that you selected, go ahead and click on the Clean button. Note: You can do the same process from step 1 for the modules “Clutter” and “Large and Old Files”. Once that the cleaning process is complete, you will see an indication beside each folder that says “Zero KB”. However, there are some folders that do not have this indication. Do not worry because this only means that those folders are an auto recreated folder. So there you have it. You have now some ways that you can do for you to clean up space on your Mac. And, by using the iMyMac Cleaner, everything will be easy for you because it can remove all the things that you no longer need on your Mac. This way, you will have more of your space and it will also be a big help in regards to the performance of your Mac. / Mac Cleaner / How to Clear up Space on Mac?